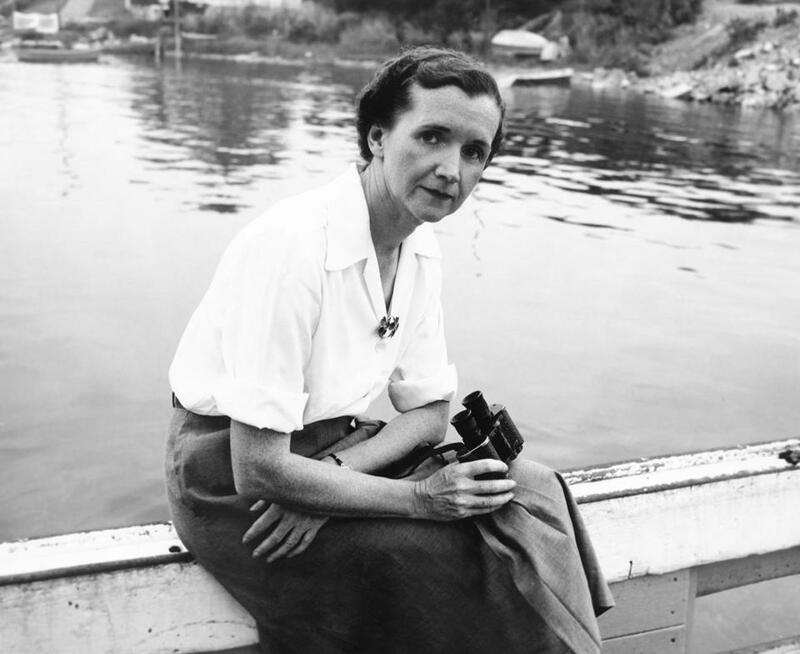 If President Trump wanted to get to the bottom of the environmentalist movement, he might take a look at the writings of Rachel Carson. Her “The Sea Around Us” (1952), a poetic meditation on the ocean as a holistic system and a living entity, has inspired generations of nature lovers. Her “Silent Spring” (1962), a meticulously researched and passionate warning about the insidious, long-term effects of pesticides on plants, animals, and humans, still stirs up activism and nettles chemical companies. It even inspired another president, John F. Kennedy, to launch an investigation into the problem. If not for Carson, the world would be more ravaged by pollution than it is. Or the president might watch Michelle Ferrari’s documentary “Rachel Carson.” It tells the story of her determination to get a doctorate in biology at a time when women were not encouraged in higher education. When misfortune caused her to abandon that plan and become her family’s sole provider, she turned to writing the books that made her famous and started the movement that is more important now than ever. President Trump might also want to learn more about the civil rights movement, for which activists such as US Rep. John Lewis put their lives and freedom on the line. To do so he might check out Clennon L. King’s documentary “Passage at St. Augustine,” an account of the grueling and bloody 16-month battle against Jim Crow laws in the country’s oldest city. “Passage at St. Augustine” screens for free on Feb. 9 at 6 p.m. at the Boston Public Library, 700 Boylston St. A discussion follows with the filmmakers, Rep. Byron Rushing and Mimi Jones, an activist in the St. Augustine campaign. For decades the name Kitty Genovese served as a byword for the blight of public apathy. On March 13, 1964, she was stabbed to death outside her Queens apartment building. According to a New York Times story, 37 witnesses looked on and did nothing. On the 40th anniversary of the murder, the Times took another look at the case and found that their original reporting was wrong. They determined that some of those alleged witnesses heard or saw nothing, or if they did, misinterpreted it as innocuous. Genovese’s grieving younger brother Bill was determined to find out what happened to his sister in her final hours and track down the surviving witnesses. In his documentary “The Witness,” James Solomon joins Bill Genovese (who uses a wheelchair; he lost both legs in Vietnam) as he pores over old police records and phone books and tracks down leads to learn the truth. An engrossing detective story, an enlightening sociological study, and a heartbreaking story of unreconciled grief, “The Witness” is one of the best documentaries of 2016. It premieres on PBS’s “Independent Lens on Monday” at 10 p.m. The prospects for Middle East peace have seldom looked as bleak as they do now. Nonetheless, some Israeli soldiers and Palestinian fighters who have seen the damage war has done to their own lives have united to form the group Combatants for Peace, a bipartisan organization seeking a resolution to the conflict. Directed by Stephen Apkon and Andrew Young, the documentary “Disturbing the Peace” profiles these activists, who have put their lives on the line for their respective causes and now ask their leaders to do their part in establishing a just peace. “Disturbing the Peace” screens Tuesday at 7 p.m. at the Coolidge Corner Theatre, 290 Harvard Street, Brookline. Apkon and producer Marcina Hale will be present for a Q and A.